Saccharomyces: Can yeast be a probiotic? 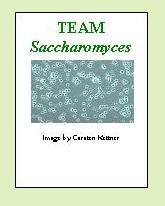 Saccharomyces is the yeast you generally want on your probiotic team in order to be healthy. It is the name of a genus of one-celled round-to-oval yeasts in the fungi kingdom. Remember that a “genus” is just a level of scientific classification as a way to distinguish different kinds of things. More info about genus can be found here. But Wait, Isn't Yeast in the Body Bad? 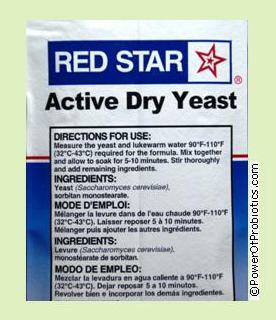 Many people shudder when they think about yeast because they think about vaginal yeast infections, athlete’s foot, jock itch, ringworm or thrush. Those are all fungal infections, but our Saccharomyces buddies are not the cause. The types of fungus that commonly causes skin disease in animals and humans are usually from the genera (which is the plural of “genus”) Candida, Cryptococcus, Epidermophyton, Hortaea. Malassezia,Microsporum,and Trichophyton. 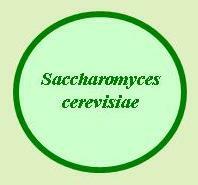 “Saccharomyces” literally means “sugar fungus”, and many of the species are used in the food industry. (Can you guess what their favorite “food” is?) One species is used in the medical field as a probiotic. These yeasts are about 5 times or so larger than probiotic bacteria, which means they are about one-fourth the size of our cells. Some of the species have GRAS (generally recognized as safe) status in the US, meaning that there is general recognition of their safety through experience based on common use in foods. These yeast species lack the ability to penetrate into tissues like Candida species can, so they are not invasive. These species also are not affected by antibiotics and do not acquire antibiotic-resistant genes. Non-toxic and non-pathogenic (meaning it doesn’t cause disease) strains of S. cerevisiae are used not only in baker’s yeast for those delicious cinnamon rolls, but also in brewer’s yeast and in many ethnic fermented dishes and drinks around the world. Some records show that there are at least 24 different species of Saccharomyces. Some of the species used in the food industry are bayanus, eubayanas, florentinus and pastorianus, and they are mostly used in making cider, wine, ginger beer, ales and lagers. S. exiguous is often found in kefir. 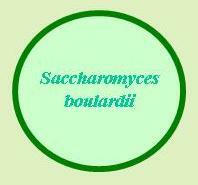 The probiotic species of yeast with amazing potential is S. boulardii. Some "sugar fungus" yeasts have been genetically engineered to ferment xylose, one of the major fermentable sugars present in cellulosic biomasses, such as in agriculture residues, paper wastes, and wood chips. They are also used in the biofuel industry. It is possible to have an allergy to this yeast species, and since S. cerevisiae, boulardii and the other species are very similar genetically, you may be allergic to all of them, in which case avoidance is your best option. Also, it is possible in critically ill, immunosuppressed (immune system-compromised) people to get fungemia, a fungus infection in the blood. Click on the links below to see why these two species really are the yeast superstars.